Norway is famous for its indented coastline, mountains, woods, lakes, waterfalls, and many more natural features. 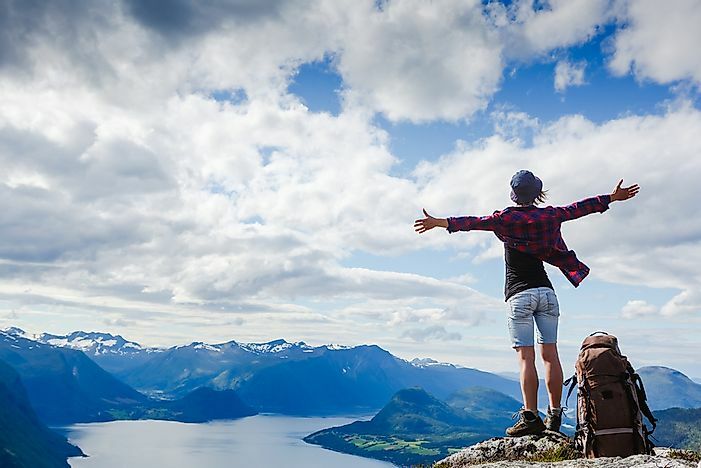 Many tourists visit Norway for the outdoor activities, including hiking. The Sognefjellsvegen is Northern Europe’s highest mountain pass. 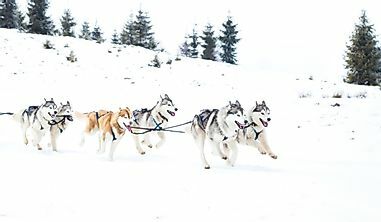 The scenic road is part of the County Road 55 and passes through the Sogn og Fjordane and Oppland counties of Norway. The Sognefjellsvegen was opened on July 16, 1938. The road passes through several mountains with the highest point being at 4,705 feet above sea level. 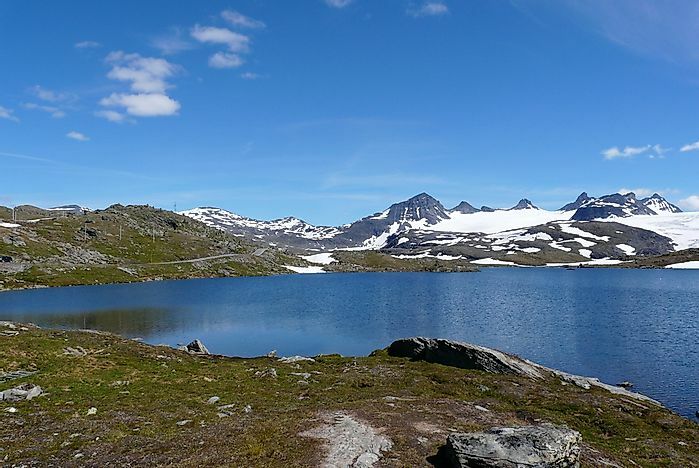 Two national parks, the Breheimen National Park and the Jotunheimen National Park lie along the route. Due to heavy snowfall, the Sognefjellsvegen remains closed between November and May. Located in the municipality of Stryn, the Briksdalsbreen is one of the best known and accessible arms of the Jostedalsbreen glacier. The glacier is a part of the Jostedalsbreen National Park of Norway. The glacier ends in a small glacial lake called the Briksdalsbrevatnet that is 346 meters above sea level. The size of the Briksdalsbreen glacier varies both with temperature and precipitation. The glacier is not only a popular tourist spot but is also used for studying the effect of climate change on glacier size. A UNESCO World Heritage Site, the Nærøyfjord is beautiful fjord in the Aurland municipality in Norway. The fjord is 18 km long but only about 500 meters wide at its widest part. The river Nærøydalselv flows into the fjord and the Gudvangen village is located at the mouth of this river. 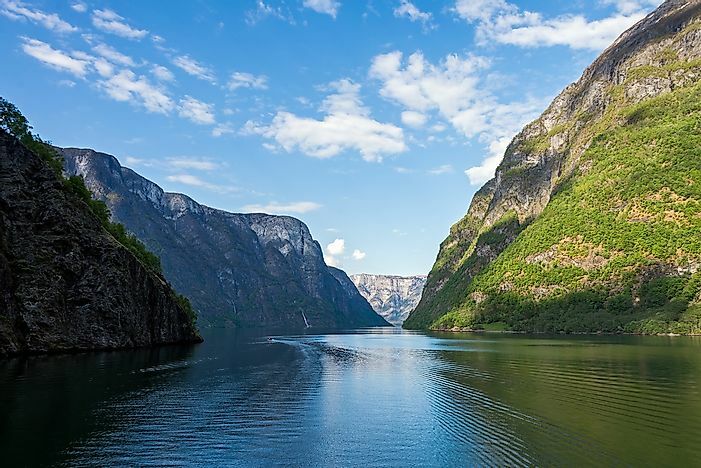 The fjord is so famous that the National Geographic Society has rated it as the top ranking natural heritage site in the world along with the Geirangerfjord. 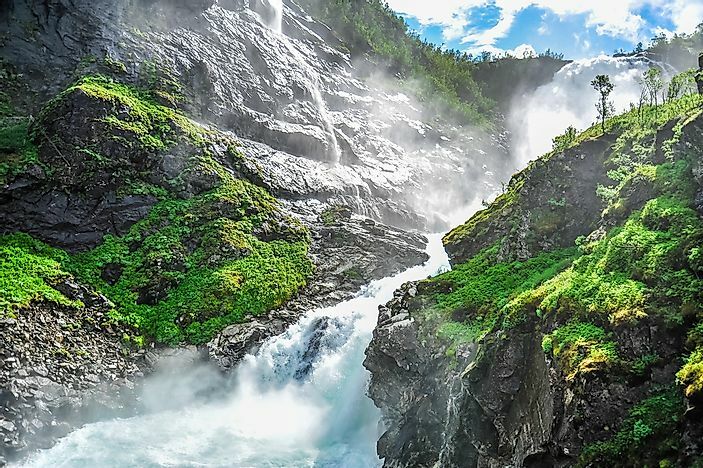 Another spectacular waterfall, the Steinsdalsfossen makes it to the list of the most visited natural attractions in Norway. 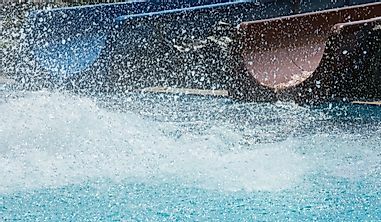 The waterfall is located in the Steine village in the Kvam municipality. 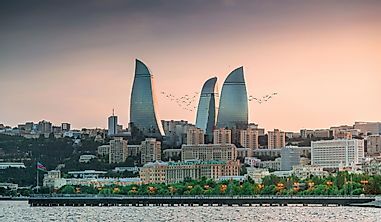 It is 151 feet tall and has a major 66 feet drop. The tourists visiting the site can take the route from the parking lot, and along the waterfall, up a hill, and then behind that waterfall from where they get the opportunity to walk dryshod "into" the rumbling water. The Steinsdalsfossen receives its water from the Fosselva river and that, in turn, receives its water from the lake Myklavatnet. The 165-meter Låtefossen waterfall, also known as the Låtefoss waterfall is a unique natural feature of Norway. The waterfall is unique in that when it flows down from lake Lotevatnet, it flows as two separate waterfalls but midway, these two separate streams join to form a single waterfall. The confluence of the two streams occurs just before going under the Norwegian National Road 13. Thus, those on the road can watch the spectacular sight of the waterfall as they drive through the old stone bridge. Norway is well known for its bewitching natural beauty represented by its numerous waterfalls, mountains, valleys, and of course, fjords. 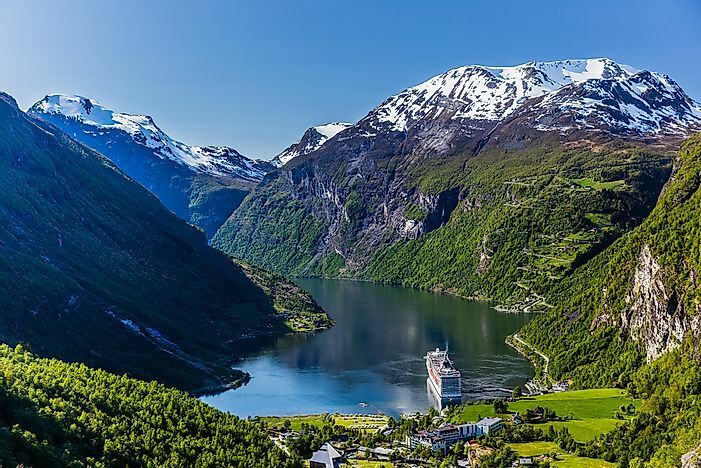 The Geiranger Fjord is one such natural treasure of the country that is located in the Møre og Romsdal county in the country. The fjord is a 15 km long branch off the Sunnylvsfjorden. The Geirangelva river empties into the fjord and the village of Geiranger is located at the mouth of the river. The Geiranger Fjord was inscribed as a UNESCO World Heritage Site in 2005. Two notable waterfalls in the region are the Suitor and the Seven Sisters Falls. 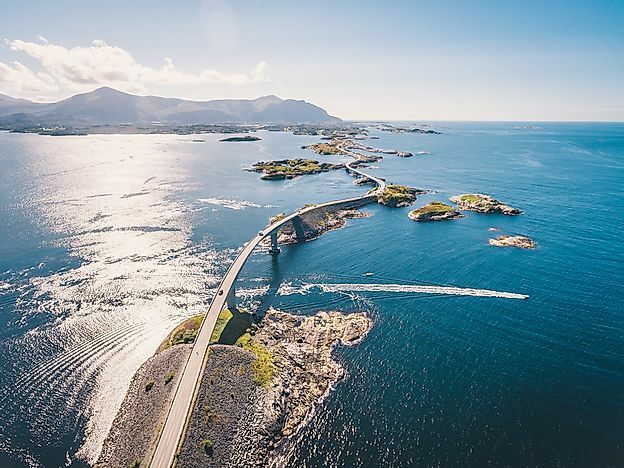 This Norwegian natural beauty is, however, facing a great threat. Rock slides are common here and the mountain Åkerneset could erode into the fjord resulting in a tsunami that would consume the nearby towns in only ten minutes. 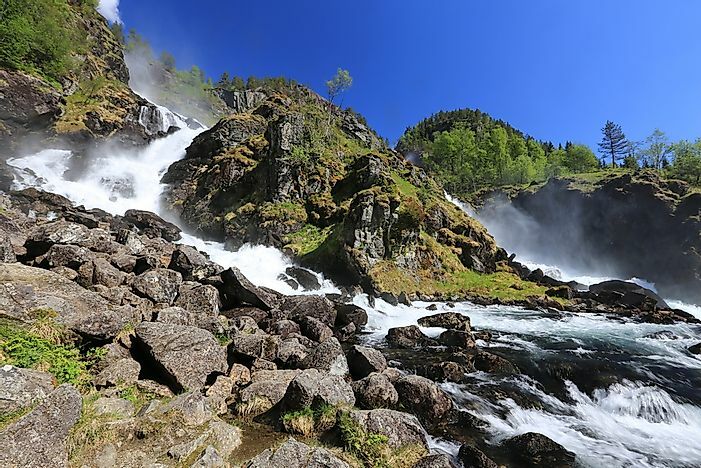 One of the most visited attractions in Norway, the Kjosfossen is a waterfall in the country’s Aurland municipality. 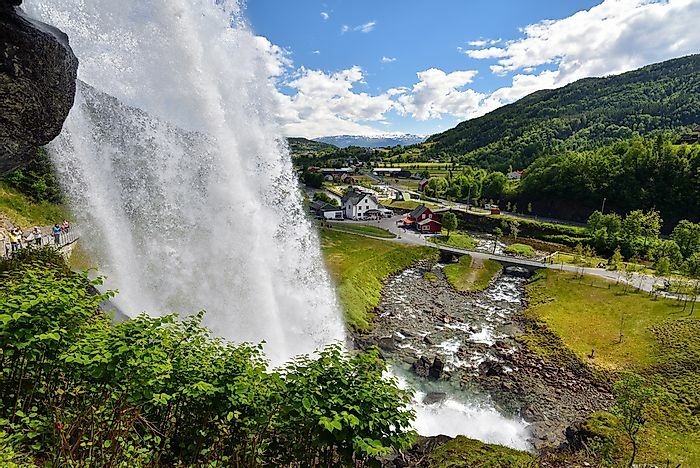 The fall is 225 meters tall and features a power station that is used to supply power to run the Flåm Line railway. 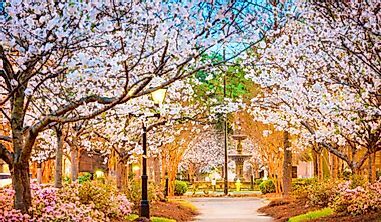 Those visiting the waterfall enjoy its captivating beauty. Also, during the peak tourist season, an actress dressed as a seductive forest creature from the Scandinavian folklore called the Huldra, sings and dances in front of the waterfall to amuse the tourists. 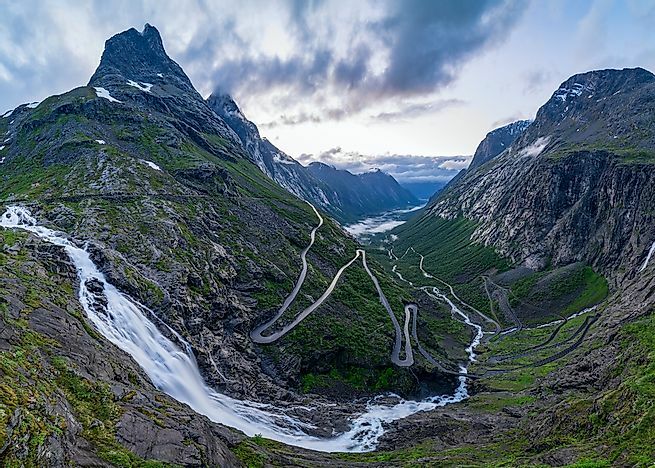 A serpentine mountain road in Norway’s Rauma Municipality, the Trollstigen offers tourists one of the most memorable journeys of their lives. The road is a section of the Norwegian County Road 63 that connects a town and a village in the country. 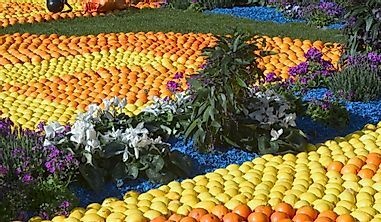 It was opened on July 31, 1936. The scenic mountain road features 11 hairpin bends and a steep incline of 10% that is a popular attraction for tourists. There are several viewing platforms and a museum along the road. About 2,500 vehicles pass daily through the Trollstigen during the peak tourist season. The road remains closed during late autumn and winter. Vøringsfossen is Norway’s 83rd highest waterfall and lies at the top of the narrow valley of Måbødalen in Hordaland. 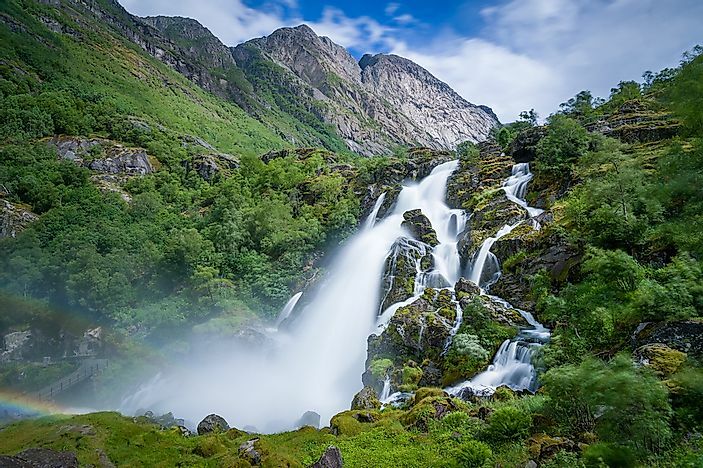 Well known for its spectacular beauty, the waterfall is one of the most visited sites in Norway. The total drop of the Vøringsfossen is 182 meters. The river that flows into the waterfall is known as the Bjoreia and it has a hydroelectric dam above the falls region in the Sysendalen valley. Tourists visiting the falls are warned about the dangers of falling to one’s death if they tend to become too adventurous in the precipitous landscape.